*Misguided people will understand lingam as phallus.. it is no way related to it..
இந்த சிவத் திருவுருவம் சாதாக்கிய தத்துவத் தில் (மூர்த்தி தத்துவம்) போற்றிப் புகழப்படுவது. இதை "சகள நிட்கள சிவம்' என்றும் கூறுவர். இது வடிவுடையதும் வடிவில்லாததுமாகிய இரு தன்மையும் கூடி நிற்பது; ஞான சக்தியும் கிரியா சக்தியும் சமஅளவில் பொருந்தி தியானிப்பது. இதை போக சிவம் என்றும் அழைப்பர். இந்த சகள நிட்கள சிவமே சிவலிங்க வடிவமாகும். சிவலிங்கம் "அசவலிங்கம்' என அழைக்கப் பெறும். அசவம் என்பது போக்கு வரவு இல்லாதது எனப் பொருள்படும். மூலஸ்தானத் தில் உள்ளது. சிவலிங்கத்தில் காணக்கூடிய அந்த உருவம்- சகளம்; இன்னது என கூற முடியாதது. உறுப்புகள் இல்லாமல் இருப்பது அருவம். நிட்களத்திற்கு உருவம் உண்டு; உறுப்புகள் இல்லை. இவ்விரு தன்மைகளும் பெற்றதால் சிவ லிங்கம் அருவுருவத் திருமேனி. The worship of Linga as Śiva according to most scholars, especially from the west arises from the worship of phallus. There are many ancient sculptures that represent this form, as in the case of Gudinallam linga, and literary references, that justify this assumption. This view cannot be held wrong. But it seems that to describe all liṅga worship as worship of the phallus is patently wrong. The ritual treatises categorize different classes of liṅgas as for example, Svayambhu liṅga, (self manifest liṅga), Daivika liṅga (established by celestials), Ārṣha lingas (established by Ṛishis) and Mānusha lingas (man-made liṅgas). Each is conditioned by its own legend and faith, and their consecratory rites also vary. Any self-manifest liṅga (svayambu) may be in any shape, even simply as a plain, and that it does not represent the phallus. Similar is the case in respect of Deivika liṅga (celestial liṅga) and Ārṣha liṅgas, (Ṛishi liṅga) quite a good number of existing liṅgas are said to belong to these categories. Regarding mānusha liṅgas - man-made liṅgas, there are various categories depending upon the material with which they are made and the purpose for which they are made, One variety of liṅga is called kṣhaṇika liṅga (short-lived liṅgas) which are made for worship for short duration. A person who is on long journey can, instead of carrying a liṅga, make a liṅga for the day's worship with available material like sand, sandal paste, vibhūti (sacred ash), cooked rice (annam) and even simple flowers that are made into small heaps and worshipped as Śiva liṅga. In these cases the heaped up form is called kṣhanika-linga, candana- liṅga, vibhuti- liṅga, anna- liṅga or pushpa- liṅga. In all these instances the liṅga does not represent phallus is quite evident. Among the other lingas, which form the majority under worship, stone lingas predominate. There are atleast 96 different types of liṅgas mentioned in Makutagama, depending upon the proportion, shape of the head and the shape of the pīṭha which is also called liṅga -vedi. It is known that by and large the liṅgas consisting of the central shaft and its piṭha are made separately and fitted together during sthāpana-installation though in some cases both are found carved as one unit. In majority of the cases the central shaft consists of three parts; the bottom is square, the middle octagonal and the top cylindrical. It is known that bottom square part represents Brahmā-bhāga - the middle for Vishnu-bhāga and the top cylindrical part represents Rudra-bhāga. The priest, who worships the liṅga, invokes Brahmā in the square part, Viṣhṇu in the octagonal part and Rudra in the cylindrical part. Invariably such liṅgas stand for the Trinity namely Brahmā, Viṣhṇu and Śiva and therefore do not represent the phallus. Mention has been made earlier that ever 96 types of liṅgas are listed each depending on the proportions and their top. Each of these linga is based on different ideology and believed to confer different benefits to the devotees. Such liṅgas cannot be considered phallus. There is a chapter on definition or rather characteristics of lingas in the text Kamika agama - First Part, 62 chapters. It says lingas could be made of clay, wood, metal or stone. Some are found in gems or as Bana lingas. The lingas made of clay fall into two categories as linga of unburned clay or burnt clay (terracotta lingas). The terracotta lingas are intended for abhicara worship i.e. destruction of enemies. The text proceeds to enumerate, the materials, the sources from where these could be obtained, the type of wood that could be used, the nature of stone suitable for linga, and the different proportions for Brahma bhaga, Vishnu bhaga and Rudra bhaga. The chapter also deals with mukha lingas, which are meant for bestowing enjoyment (bhukti) or salvation (mukti). Mukha lingas are classified as Eka-mukha-linga, Trimukha lingas and caturmukha lingas. The text also speaks of types of lingas called Pundarika, Visala, Srivatsa, and Satrumardana lingas. Worshipping Pundarika linga bestows fame, Visala bestows great wealth, Srivatsa gives all prosperity and Victory is obtained by Satrumardana V. 52-55 There are two district types of lingas which are mentioned by names as Adyalingam, and Vardhamandea lingam based on the proportions of the Brahma bhaga, Vishnu bhaga and Siva bhaga. The adhya linga will have all the three parts of equal height is considered a special category. When the top Siva bhaga is made taller and the other two parts, are made of equal height, it is called Vardha-manaka linga. The text also speak of adya, Anadya, Suredya, Dharalingam, Sahasralingam are also listed. From one facet to one hundred facetted lingas are called Dhara lingas. Linga's are also classified based on the shapes of the head Parasal type - (chatra-srisham) Gourd type - (Trafousham) Egg shaped - (Kukkutandam) and like the crescent of the moon and bubble type (candra kaudam) - these are considered ancient classification of heads of lingas. (59, 60, 61) Chapter - 62. Regarding the manusha lingas, T.A. Gopinatha Rao, holds that they represent phallic emblem "From the descriptions of the Manusha Lingas given above, it is easily seen that the symbol represents a phallic emblem, of which the part projecting above the pitha is the representation of the membrum virile and the Brahma sutra makes the nut from the shaft and the rounded top completes its likeness of the human phallus. The Brahma bhaga and the Vishnu bhaga are only designed to fix the linga firmly in the pedestal. Of the component parts of the pitha that slab of stone with a square hole in which the square portion of the linga fits in and which forms the lower member of the pitha, prevents its notion the second slab with an octagonal hole in it and which is the second or upper member of the pitha restricts the vertical notion of the linga". P. 98-99. Rao's contention is not borne out by his own illustrations. IL. VI, VII, VIII, IX, X and XI none of the illustration, both photograph of actual lingas or even his drawings, resemble human phallus. The illustrations include Mukha lingas, Dhara lingas, Sahasra lingas, which do not have any resemblance to human phallus. The other lingas illustrated him also do not Justify his statement. The very names given to the three principal parts of the linga as Brahma bhaga, Vishnu bhaga, and Rudra bhaga demonstrate that they seek to represent the concept of Trinity. Brahma, Vishnu and Siva - the creative, protective and dissolving power of the Supreme drawn from the Vedic and Upanishadic concepts. It is the power of Agni, who is the symbol of Supreme Effulgent light - Param Jyoti identified with Brahma, Vishnu and Siva in all the Vedic Suktas, like Narayana Sukta of the Tattiriya Aranyaka, and all the Puranas the two epics and also all the Agamas. There are many lingas under worship from decidedly from the 7th cent Pallava age in Tamilnadu that show the Cylindrical part of the linga with the central rekha shown as a single line culminating in a figure drawn like a pointed flame. They indicate the intention of the makers was to adore them as jyotis , the jyotirlingas. Such representations could be seen in Mahabalipuram. A number of lingas from different parts of the country are shown here that illustrate the point. It is necessary to state, it is not only Śiva who is represented in liṅga and worshipped, and there are other manifestations of godhood that are worshipped, in the liṅga. In some of the Agamas, there are references to installation of liṅgas representing devotees. Several hundred illustrations are known where a dead devotee is personified in the liṅga and worshipped. According to Śaiva philosophy, the devotee merges with the Supreme Śiva (Śiva sāyujya) when he passes away. The Śiva-jṇāna-bodha, a text of great authority in Tamilnadu, states that the devotee merges with Śiva in the final stage - "śivena aikyam gatah" in Sanskrit and "avanē tāne āki" in Tamil. There are several instances in Chola times, when a liṅga is installed where the king died and a temple created for him and such temples are called "Paḷḷip paḍai temples". The kings were cremated and obviously their ashes were interned and liṅga created over the internment. When Āditya chola died (early 10th cent), at Tondaimanad near Kalahasti (north of Madras), a Pallip-padai temple was created over his remains and liṅga installed, and worship arranged. The temple still stands. A pallip-paḍai temple was created by Rājarāja chola, over the remains of Arinjaya chola, at Melpadi near Vellore in Tamilnad where the temple stands to this day. Several such Paḷḷip-paḍai temples could be cited during the Chola period 9th to 12th cent. The consecration of lingas and creation of such Paḷḷip-paai temples were not confined to only male members. Liṅgas were installed for female devotees as well. Chola records refer to construction of such temples for Chola queens. Some such temples continue to exist till date near Kumbakonam. No distinction is made between kings and other devotees. Irrespective of their social status, liṅgas were erected over the remains of any Śaiva devotee, a tradition that survives to this day. Evidently such lingas can not be termed phallus. 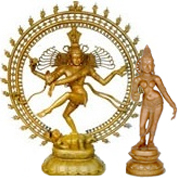 There are also liṅgas that represent not a single deity but dual deities. A Śiva- liṅga in Cambodia, is mentioned as Viṣhṇu-Caṇḍēśa liṅgam - that is the combined form of Śiva and Viṣhṇu. The invocatory verse of this inscription makes specific mention of the combined form of Viṣhṇu and Śiva as Hara-achyutau. This is not an isolated instance. Another liṅga, also from Cambodia is called Śiva-Viṣhṇu liṅga. Thus the dual forms of Siva and Vishnu were invoked in the liṅga and such liṅgas can not be brought under phallus worship. It is well known that lingas with faces were worshipped in all parts of the Hindu world. These fall under different types like Eka-mukha lingas, Catur-muka- liṅgas, or even Panca-mukha- liṅgas. The Catur-mukha or Panca-mukha liṅgas are based on the concept of five forms of Śiva, called Panca-Brahman, known as Tatpuruṣha, Aghōra, Sadyōjāta, Vāmadēva and Īśāna. The last mentioned may be or may not be represented in form, but in both the cases the presence of Īśāna is invoked on top of the liṅga such liṅgas can not also be considered as phallus. Instead of four faces, one may find the full standing figure of Śiva on four sides and the top will have only the cylindrical shaft. Here again to call these types of liṅgas as phallus is not correct. Similar to the above, we have another type of linga which are called Pancāyatana liṅgas; they carry Brahmā, Viṣhṇu, Gaṇēśa, and Sūrya on the four faces, the top portion with no form. Alternately Brahmā, Viṣhṇu, Gaṇēśa, and Dēvi Pārvatī are also found in some instances. Such Pancāyatana liṅgas, have the top cylindrical part, which are left plain, represent the Īśāna form of Śiva and they are not representation of the phallus. The liṅga in all these cases represents multiple deities. An interesting form of liṅga is mentioned in Cambodia in which the four faces found are Brahmā, Viṣhṇu, Śiva and Buddha. Thus even Buddha could be worshipped in a linga. Mention has been made earlier that liṅga could represent dual deities like Viṣhṇu and Śiva, We have some interesting lingas mentioned in the Purānas like the Vāmana purāna (Ad. 46). Describing the (Kurukṣhetra) saro māhātmya, the purāna states that there was a great liṅga beneath a banyan tree by the side of which stood Pārvati in the form of liṅga. The Purāna says goddess Pārvatī in liṅga form was always present by the side of the great liṅga, which means that there were two liṅgas one representing Śiva and the other representing Pārvatī by its side. There was a sacred tank near that place, called Rudrākara acting as Śarva tirtha, abode of all sacred waters. To the north of this tank Rāvana (who is called Mahātmā) installed a great liṅga-māla- liṅga which was called Gokarṇa. Meghanātha – Indrajit, the son of Rāvana installed a liṅga called Siddida liṅga. Kumbhakarṇa installed another liṅga to the west of it. In the presence of this Gokarṇa liṅga of Devadeva, Umā resides in the form of a liṅga. Asti yat sannidhau liṅgam deva devasya sūlinah umā sā liṅga rūpena hara pārśvam na muncati. This illustrates clearly Umā could also be worshipped in the form a liṅga. At this stage we may mention the concept of Lingod-bhava form of Śiva. According to the Liṅga purāna, there arose once a quarrel between Brahmā and Viṣhṇu as to who among them was great. At that time a huge shaft of resplendent flame arose in between them with a thunderous sound “Om”. Startled by this appearance Brahmā in the form of a swan tried to see the head of this shaft but failed. Viṣhṇu appeared as a boar and went down and even after reaching the nether world, could not see its root and returned. Then from the middle of the shaft issued Śiva, who told both of them that they were quarrelling due to vanity. Brahmā, Viṣhṇu and Śiva are identical and there is no difference between them. According to the Liṅga-purāna the worship of liṅga was established in the world from that time and this manifestation is called Liṅgodbhava - emanation from liṅga. This representation is portrayed sculpturally in hundreds from very early times in Tamilnad where the liṅga is shown as a flame of pillar. The concept of liṅga in all these cases arise from jyōtir - effulgent light and hence linga is generally identified as jyōtir liṅga. Gopintatha rao, misunderstood the story and wrote the following about Linga and Saiva worship which is totally at variance with what we get from Agamas and Puranas . Rao writes: “Shiva in this myth is represented as wining a momentous victory over the other two supreme divinities of the Hindu triad, Brahma and Vishnu; and this victory, if we may judge from the literary remains, corresponds to an actual, historical development. For in the earlier and classic Puranas Shiva is no more than a function or mask assumed by Vishnu whenever the moment approaches for the reabsorption of the universe. Only in a later stratification of Puranic myth do we find Shiva coming to the fore to enact independently and alone all three of the great world roles of creation, preservation, and destruction. I should like to call it, "the phenomenon of the growing, or expanding, form." This write up by Gopinatha Rao is not supported by textual material and according to me is clearly unacceptable and deserve to be rejected. It is necessary to understand that the effulgent light is a symbol of bright knowledge that removes darkness of ignorance. Brahmā and Vishnu were fighting among themselves because they were overtaken by their egoism, which shrouded their wisdom. The illuminating shaft of flame reminded their knowledge consciousness as a result of which they were able to realize their self. This story of Śiva emanating from the shaft of flame as Lingodbhava is according to scholars, an extension of the story found in the Kēna upaniṣhad in which all the gods like Indra, Varuna, Vāyu, and Agni were quarrelling among themselves when a small piece of grass was found in front of them. When Agni, Vāyu and Varuna, one after the other boasted that they could destroy that grass in a trice, none could even shake it from its place. When Indra went near, a divine being revealed itself as a blazing flame that none could fathom. From it emerged, Umā-Haimavati, who revealed to Indira that she was Ātma-vidyā - knowledge of self. This famous Kēna upaniṣhad, showed Umā Haimavati was the embodiment of knowledge appearing as a shaft of flame. These two legends illustrate that both Śiva and Umā appeared as liṅga, representing knowledge. The appearance of Umā as a liṅga at Kurukṣhetra is to be understood against this back ground. The Vāmana purāna mentions another interesting liṅga. At Kurukṣhetra, Viśvakarmā established a liṅga to the east of the Vaṭa vrksha (banyan tree) there stood Goddess Sarasvati in the form of a Liṅga facing west. Here again one notices goddess Sarasvatī, in the form of liṅga, worship of which bestows knowledge and intellect. Liṅga is here associated with knowledge in the form of Supreme jyoti, light. The tradition of representing Cakradana Murti Siva is will known especially in Tamilnadu. In the portrayal of this scene, the emphasis is given in many instances to the presentation of Cakra to Vishnu by Siva. In all these instances, the main figure in Siva shown seated with Parvati, presenting the Cakra to Vishnu who will be shown receiving the weapon such representations are seen from the Pallava times as in the Kailasanathan temple of Kanchipuram. But there are illustrations where the emphasis is given to the worship of linga by Vishnu and in such cases Siva is shown emerging from linga, portrayed standing and Vishnu also standing receives the weapon. A good illustration of this theme is found in the Great temple of Tanjore, where the linga is shown prominently. It almost resembles the Lingodbhava image, but unlike lingodbhava, in which Siva is shown only upto the knee in his lower body, Siva in Cakradana murti, he is shown emerging from Linga in full. The most important point is the linga from which Siva emanates is given importance and it has no resemblance to the phallus (illustration). Thus both in the Lingodbhava form and Vishnu anugraha form, the linga that is represented has no resemblance to Phallus. There is another representation is sculpture in which goddess Kamakshi (parvati) is said to worship. According to the legends the Goddess, in order obtain a boon from Siva, worshipped him in the form of Linga. An excellent illustration of Parvati worshipping Linga is now the Dhaka museum of the Pala period 10th-11th cent. This shows linga prominently in the front while the goddess is shown standing behind the linga adoring him. It may be seen from the sculpture that the linga portrayed is of the common variety, with no resemblance to the Phallus. According to the legend, the goddess performed the worship according to the Agamic tradition and the linga represented should be taken to stand for the common linga of the Agama. We may also point out, that in Pala sculptures, belonging to Bengal region, one finds sculptures of Siva, some representing urdhva retas and some without it, indicating and in the same period two different concepts are seen and so all lingas, an not be brought under phallus type linga. In South India, the Goddess is said to have come to Kanchipuram to do worship of Linga she did the worship on the banks of the river Vegavati, where she heaped up the river sand on the banks and worshipped it, when suddenly floods brought waves of waters. The Goddess embraced it to prevent the linga of sand being washed away. Siva bestowed grace on her. 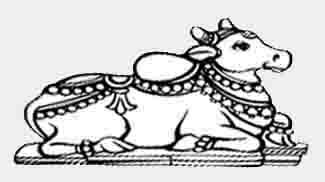 This theme mentioned in 12th cent Tamil work, is seen in many chola temples of even earlier times. The linga worshipped by the Goddess is an off repeated theme and this has nothing today with phallus. Similarly in the story of candesa, the saint worshipped a linga made of sand and lingas had nothing to do with phallus. We may also point out the famous concepts of Panca-bhuta-lingas i.e. the Lingas made of five basic elements namely Prithvi linga, Jala linga, Vayu, Tejo linga (Agni), and Akasa linga. The Prithvi lingas are generally considered the ant hills : the Jala linga is waters in which the water itself is worshipped as Siva. Similarly in fire, and Air and Akasa lingas, the concept is they represent Siva and not the phallus. In interpreting idols and images made for worship, a historian has to point out how the makers of the sculptures or images visualized them and used them and can not impose their own views. How the worshippers of the lingas visualized them, and used them in all the Agamic texts which carry detailed process of invocation and daily worship and in none of them we find the concept of phallus. I have mentioned earlier that there is no doubt that some lingas are shaped like the human phallus and also literature in support of the identification. It may be in the range of one in ten-thousand. But to call all the lingas as representing phallus is too pedestrian an approach, lacking even a basic knowledge of the concept of Hindu Worship."